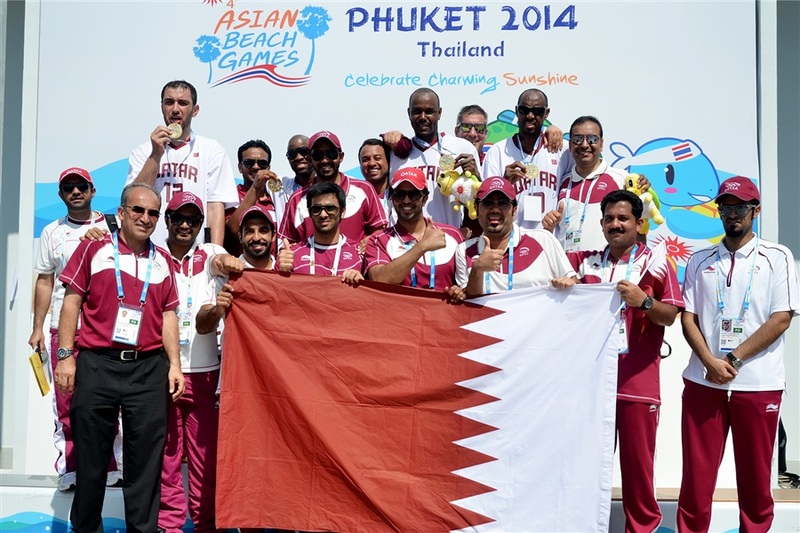 Qatar overcame India with less than five seconds to spare in a fiercely contested men's 3x3 beach basketball final here today at the Asian Beach Games, while Taiwan took women's gold. Qatar, winners of the 3x3 World Championships in Moscow earlier this year, were always the gold medal favourites, but were made to work hard by an Indian side who matched them for so long before tiring in the closing stages. After finding themselves behind for the first half of the the 10-minute showdown, Qatar fought back to 13-13 and then edged clear, with ruthless and consistent finishing complemented by dogged and determined defence. But India refused to lie down, and with a two-pointer followed by a penalty shot, they levelled things up at 20-20 with seconds on the clock, and, in a format where the first team to 21 automatically wins, could have won it only to narrowly miss another free throw. Then the Gulf nation pounced, scoring the final basket with 4.9 seconds left before wild celebrations began among the large Qatari delegation. The women's final was less close, but only slightly, as Taiwan edged into a lead over China that was always comfortable but never insurmountable, before holding on for a 15-13 victory to take their first ever female Asian Beach Games medal in the sport. To the delight of the home fans, Thailand scooped both bronze medals with a female victory over Mongolia followed by a male one over Bangladesh, the nation who had early shocked China at the quarter-final stage. Thai success and Chinese disappointment has been a running theme of these Games so far, and today was certainly no different as the host nation continued to open more daylight on the rest of the field as far as the medals table is concerned. They now have 25 gold medals and 60 medals in total, in comparison to six gold apiece for Japan and Mongolia, and five each for China and Kazakhstan. 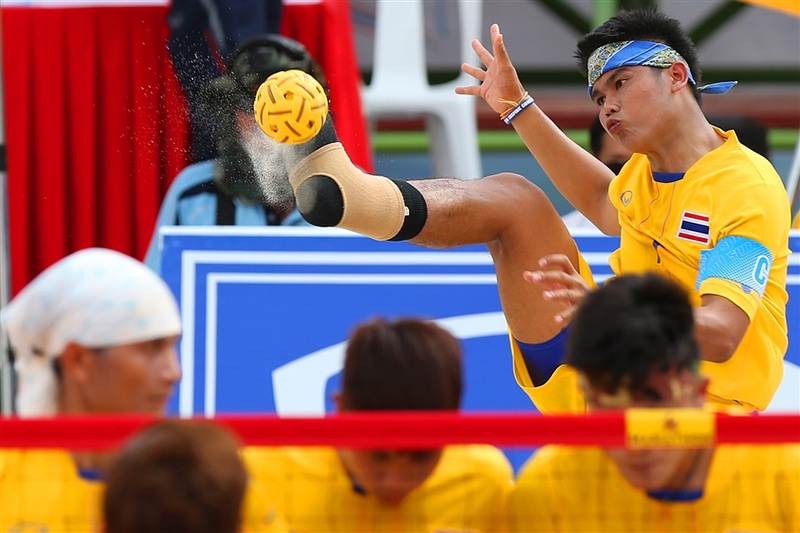 Thanarwin Phakphokhai and Chok Uthit-Melee scooped golds in jet-skiing, while both male and female teams enjoyed victories over Taiwan in respective woodball stroke competitions. Further wins were secured in roller-skating and BMX cycling, before another golden double in beach pétanque. Although the programme of sports here - which does not include pool swimming, diving, table tennis and some other east Asian dominated sports - makes it easier, there is no doubt that the preparations of the Thai team have been top-notch. And with sports like sepak takraw still to produce medals, many more podium finishes can be expected from the host nation.